Soulcialism: Rhythm Riot #8 plus CASHIN' IN THIS FRIDAY! Rhythm Riot #8 plus CASHIN' IN THIS FRIDAY! 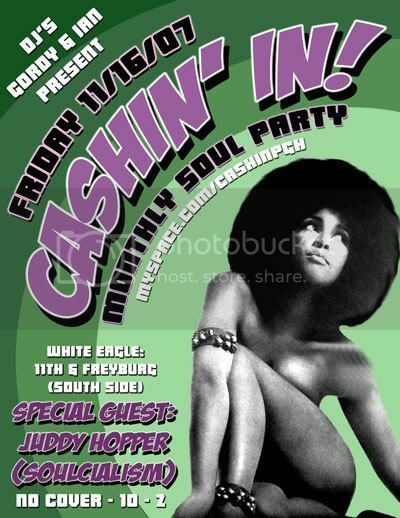 First off, Friday Night - Nov. 16 - I'll be guest DJing at Cashin' In over at the White Eagle, bringing a li'l of that SOULCIALISM thing back to the South Side! 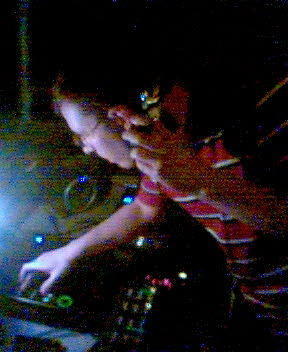 Second off, click the link above (OR JUST RIGHT-CLICK HERE) to download a brand-new mix of new rekkids - mostly Northern Soul, with some R&B for good measure. Here's a tracklisting. Queen City Show Band – Eleanor Rigby – Pow! Betty Everett – I’ve Got a Claim On You – One-Derful! Sorry for the brevity - see you FRIDAY NIGHT!! !